Seattle radio station KEXP has announced plans to play every Sub Pop record ever released in celebration of the label’s 30th anniversary. Beginning March 12, the independent station will play every Sub Pop catalog number in chronological order over a period of four months leading up the anniversary. The legendary Seattle record label was founded in 1988 by Bruce Pavitt and Jonathan Poneman (who both had shows on KEXP’s predecessor KCMU). 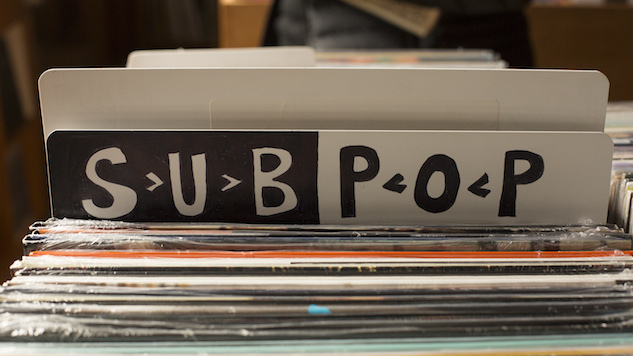 Sub Pop is best known for helping propel ‘90s grunge-rock bands like Nirvana and Soundgarden to international stardom. The label has also released music by the likes of Sonic Youth, Mudhoney, Fugazi, Smashing Pumpkins, Dinosaur Jr., The Afghan Whigs, The Flaming Lips, Stereolab and Royal Trux. More recently, they’ve put out music by Father John Misty, Beach House, Foals, Fleet Foxes, The Shins, Sleater-Kinney, Iron & Wine, Wolf Parade and The Postal Service. The label has released more than 1,200 titles over the years. Back in 2014, Paste named KEXP on our list of 10 public radio stations you wish were in your town, which you can read here.